The department of political science and the Wayne Morse Center’s Program on Democratic Engagement and Governance invites you to an open discussion for undergraduate and graduate students with Susan Burgess, Distinguished Professor of Political Science at Ohio University. Join us on Thursday, October 18 in PLC 905 from 2:00 – 3:00 pm for the opportunity to talk with an expert! Susan Burgess is a Distinguished Professor of Political Science at Ohio University. 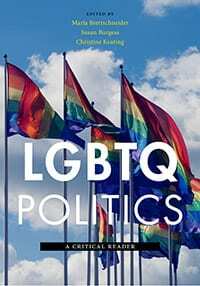 She is the author of several books, including most recently LGBTQ Politics: A Critical Reader (with Marla Brettschneider and Cricket Keating) and The CQ Guide to Radical Politics in the United States (with Kate Leeman).